Fall is here! Pumpkins are all around, from Pumpkin Patches to local grocery stores. Your toddler is probably intrigued by all the fun colors and shapes — big, small, tall, and plump. What’s even more exciting is actually pumpkin carving with kids — so many fun designs and faces can be made! It’s a great at home craft for this time of year, and they will be very proud of their new artwork to display outside your home. 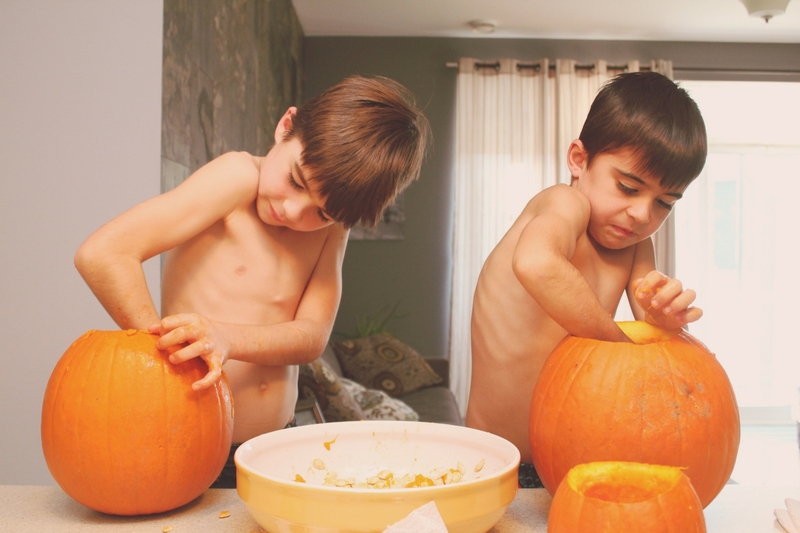 Here are some tips for pumpkin carving with kids before you dig in. If you’re starting to plan your Halloween costumes, here are some family Halloween costume ideas everyone will love. 1. Choose a pumpkin that is a good size and less bumpy to carve. Having smoother sides makes it easier to draw and safer to carve. 2. Be cautious of a pumpkin that feels too heavy for its size-that could make it more difficult to carve through. 3. Have your toddler help you inspect for any soft spots-as that could be an indication of the pumpkin rotting. 4. Before carving-take precautions! Never let a toddler carve their own pumpkin. 5. Set out some newspapers or some type of cover on the table before carving as it will get messy! 6. Make sure the table or surface you are carving on is well lit and sturdy. 7. Have your toddler choose an easy design and one that will not take too long to complete. 8. Once you’re ready to carve, don’t rush and use small controlled motions. 9. To avoid slipping be sure to keep your hands and carving tools dry. 10. 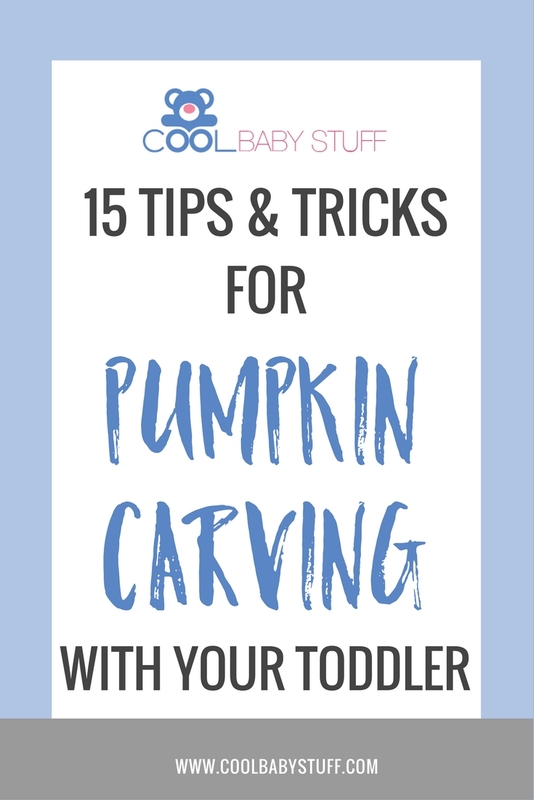 While you are carving, having your toddler occupied will help ensure their safety and make sure their little fingers don’t try to poke in holes or touch the pumpkin while you are carving. 11. 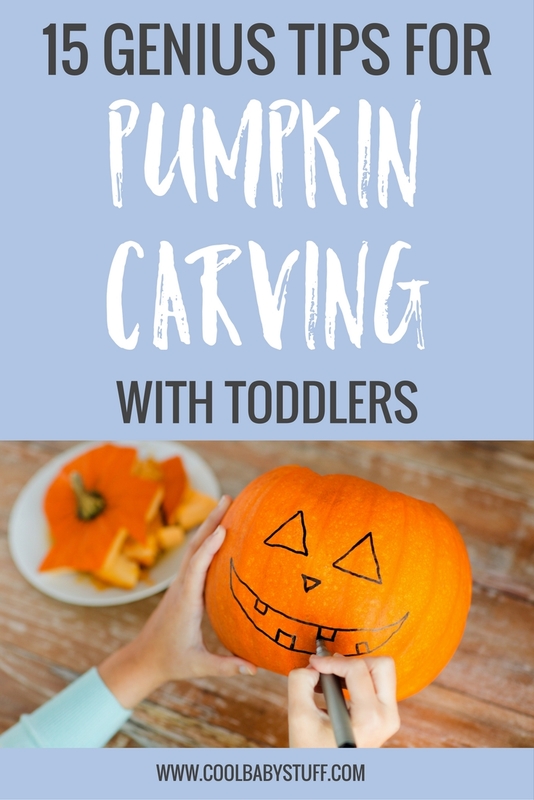 Distract them with having them color or decorate a small pumpkin of their own with glitter, stickers, non-toxic paint, or any other kid-friendly way to decorate! 12. Once carving is complete, have them help you scoop out the guts! It’s so fun for them and is also a great sensory activity. 13. If you are one for roasting the seeds, have them help you spread them out on a baking pan with you. 14. Once you’re finished, clean up quickly to get up any slippery seeds (or potential choking hazards) that might have fallen to the floor while carving. 15. When you are ready to display opt for a LED light instead of a candle to ensure safety. Have a blast and be safe pumpkin carving with kids!